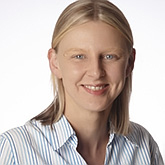 Vicky Carre qualified in 2000 from Southampton University Medical School. She began her career in general medicine and then oncology, obtaining membership to the Royal College of Physicians. She moved into Family Medicine in 2006 and has gained membership of the Royal College of General Practitioners. Vicky Carre enjoys all aspects of family medicine, particularly general medicine, women’s health and care of the elderly.